In its hundred year history, Oneka alumnae and friends have been quietly generous in support of the camp and its children. Parents have sometimes paid fees for their children’s friends. Owners have offered scholarships to those in need. 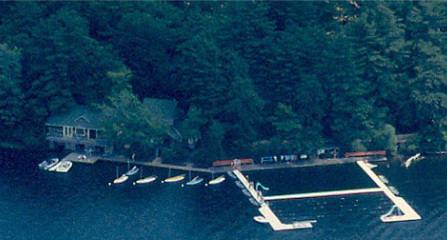 Alumnae themselves have sponsored campers as have local businesses and friends on the lake. Now these gifts are tax-deductible. During the winter of 2008, a group of alumnae formed the Turtle’s Trail Foundation, a nonprofit organization designed to offer girls the opportunity for a summer camp experience. Though the present owners facilitated its formation, TTF’s nonprofit status requires that it be totally separate in its administration from Camp Oneka. Those who support camping as an essential developmental experience know what a summer in a healthy environment can mean to a girl. Take her to camp with a tradition of spirit, friendship, and well-rounded athletic, outdoors, and arts experience, and she carries it with her for a lifetime. View the Turtle's Trail Foundation brochure.